The Torch-Bearer Prize is given yearly to a title with most potential to succeed outside Finland. 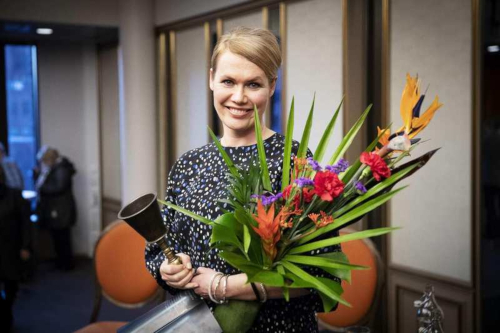 Mrs. C., indeed a bestseller in Finland, has recently also won the Book of the Year in Bonnier’s competition for Grand Journalism Prize, and was nominated for the Lapland Literature Prize. Read more about the book here. Rytisalo’s debut Lempi, also a huge success, has won numerous awards and has been recently shortlisted as the favourite book by the German-speaking booksellers in Switzerland! The book is translated by Elina Kritzokat and published by Hanser. More about Lempi here.